Malaysia recently celebrated Malaysia day on the 16th of September 2015, but instead of staying home on that day, i decided to make my day more productive by attending an event which had a story line up of influential individuals of Malaysia, to share their journey and life experiences towards success. The occasion of this event was known as 'Their Story', and we had three great figures in the country to share their experiences and their lives journey. And if youre wondering who the three great figures are? Well, its none other than Dato Siti Nurhaliza Tarudin (Malaysian International Singer) , Datuk Kamarudin Meranun (Founder of AirAsia) and Tun Dr Mahathir Mohamad (ex- Prime Minister of Malaysia). 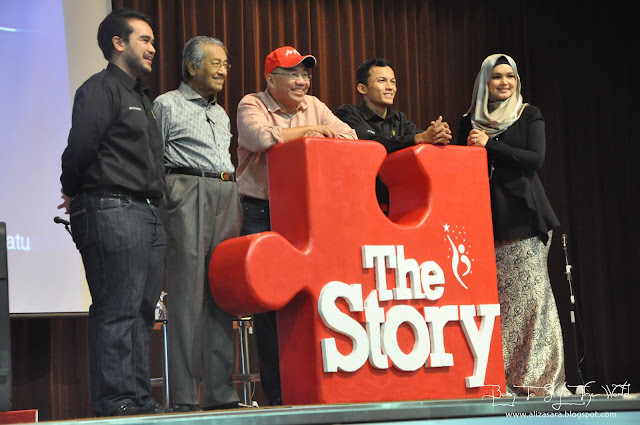 Im impressed that The Story was organized to inspire the younger generations of Malaysians to be inspired to strive for success in the field theyd want to undertake. 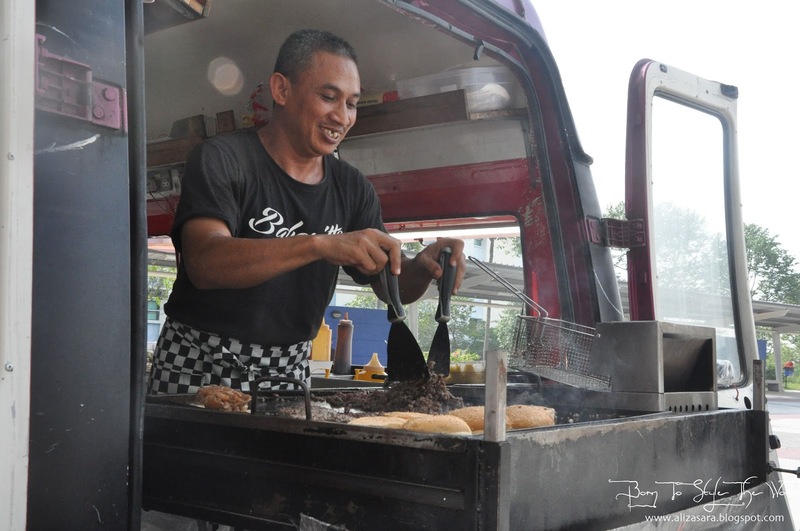 The initiative was by Generation Bersatu Malaysia (GBM), an organization to help the youth of the future to focus on developing solutions to address social problems and improving quality of life in Malaysia by broadening minds and ideas. Dato Siti Nurhaliza Tarudin receiving an appreciation gift. The event started by having Dato Siti Nurhaliza Tarudin, who gave us a live performance of her singing which really blew minds away with her amazing voice. She shared her experience of how she was brought up by her mother and now producing over more than 20 albums which have already won more than 200 awards, and still counting! She is one of Malaysia's mot iconic singer, and an idol to many young people, easily convincing them that anyone is capable to enter the entertainment industry. Dato Siti Nurhaliza came from a musically inclined family where her siblings are singers, her grandfather was a famous violinist and her mother was a local traditional singer. 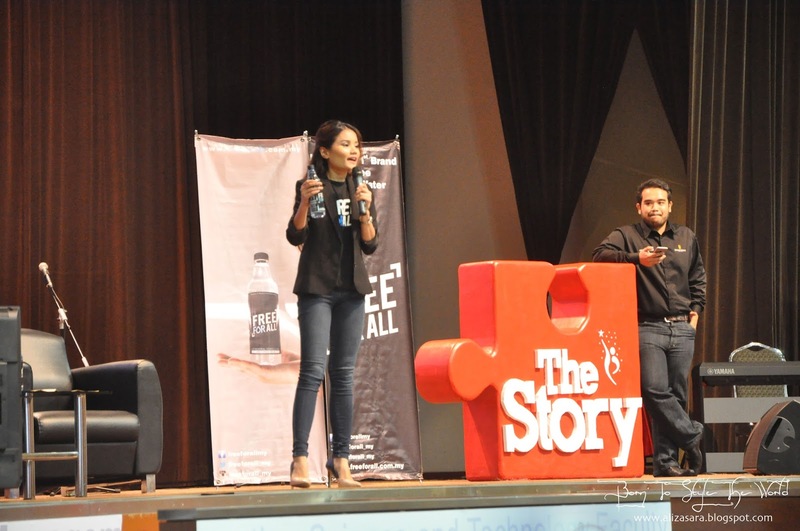 She also shared her challenges in life where we had a tough decision to choose at the age of 17, right after the major exams, where instead of furthering her studies, she decided to for URTB to pursue her singing career. And i found it funny that she shared the part that if she didnt end up a singer, she would be a polis, like her late father instead. Its really hard to be singer as you have to expose yourself and eventually it will receive a balance of criticism and compliments, said Dato' Siti. Datuk Kamarudin Meranun receiving an appreciation gift. Next, the audiences were brought to soar in the clouds with Datuk Kamarudin Meranun, the CEO of Air Asia X & founder of Tune Group. This corporate and airline figure has inspired people to dare to dream, to be ambitious and strive for their career. He shared his journey from the beginning which had lead him to what he is today. 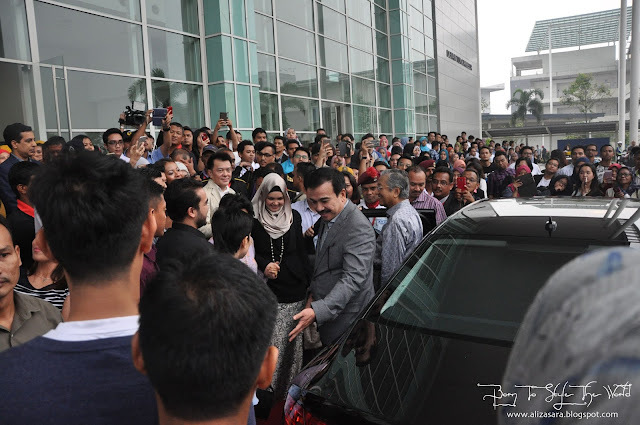 Despite being one of the richest person in Malaysia, he also has a very humble personality which future leaders should take consider to follow. He started his career as a portfolio manager handling high-net-worth clients investment funds, both institutional and individually for the Arab Malaysian Merchant Bank from 1988 to 1993. 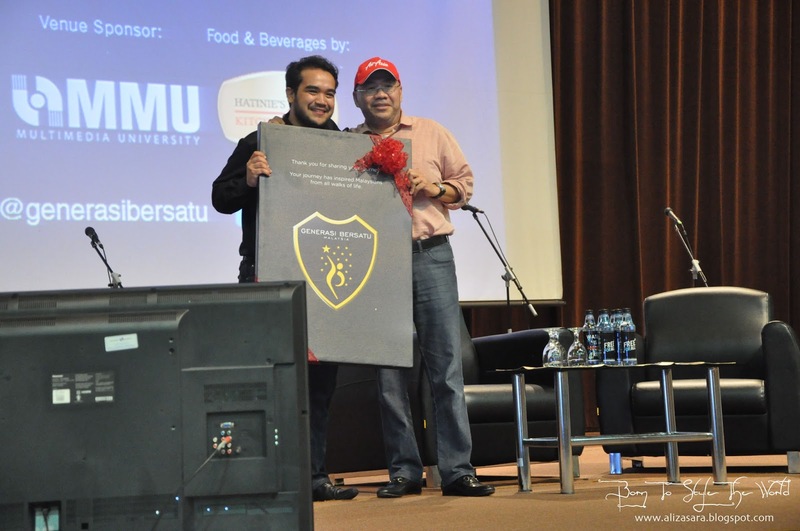 Then he was also named the best student by the Life Insurance Institute of Malaysia in 1983. Even with an educational background of actuarial science and financial investment, he strongly preferred a career behind the scenes related to financial management and funds. The biggest challenged that he had to face was during the financial crisis in 1998 where there was a 250 mil lost which was a peak point of his life, but thanks to his supportive family and his belief in god, he has managed to stay strong to make a come back. His advice was to set your principles right to be able to go through challenges. 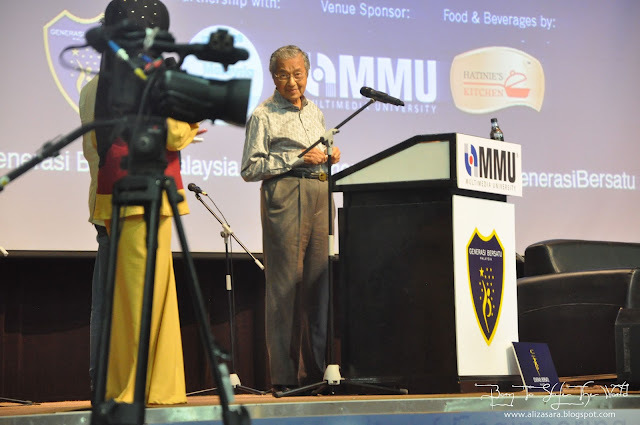 Tun Dr Mahathir Mohamad giving his two sens of thoughts. Tun Dr Mahathir Mohamad, Malaysia fourth Prime Minister was the last to be invited on stage to do the final sharing of the day. 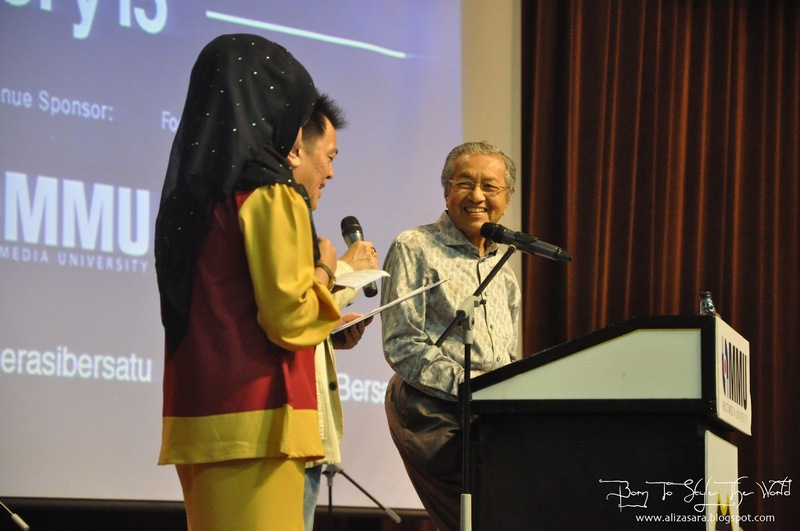 He is known as the Fathers of Malaysia's Modernization, inspired the audience with his stories worth 22 years of experiences at the Malaysia Prime Minister. From 1981, to 2003, he managed to opened the country to foreign investment, reformed taxation, reduced trade barriers, oversaw the privatisation of numerous state-ownend enterprises and created a world-class physical infrastructure. He also sought to bridge Malaysia ethnic divides by increasing general prosperity. I think talking about his achievements might be as much as a book, so if you would want to know what else he did, might as well google it out. But what he shared on this day was more personal. He was brought up growing in a simple life, being surrounded by different races as his friends, which made him opened up to see the world more differently. And at times, people wonder why is his english good, its because he reads a lot when he was young, which motivated him to be very good at it. I'd say that it was an event worth attending for. Its nice to see that these successful people are so humble and down to earth in person. The youth should have more events like this to at least learn how to set principles and learn lessons from those who are more experienced. My lunch in the making cause i got hungry. 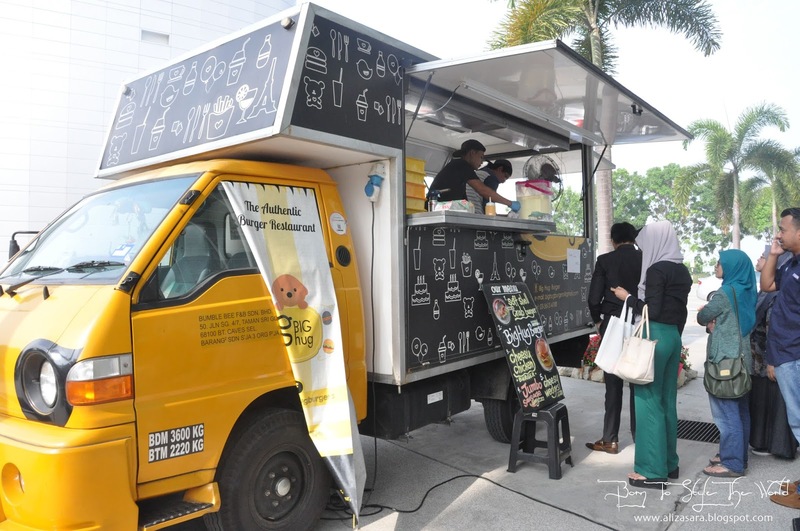 Since the event was throughout the whole afternoon, it was a long 5 hour sharing sessions, but thank god they had food trucks lined up outside the hall. Just a little pricy than average, but for the convenience, why not right? Free For All concept unleashed. 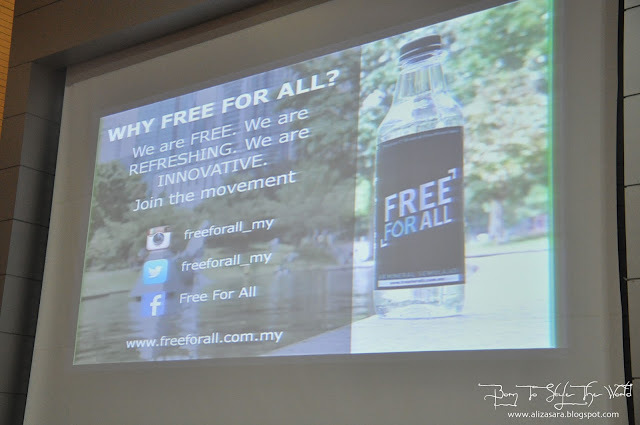 One of the sponsors of the day was from Free For All, which literally free for all! An innovative idea to spread the message, as we all know, who doesnt love free stuff right? Especially when its something that we need daily. 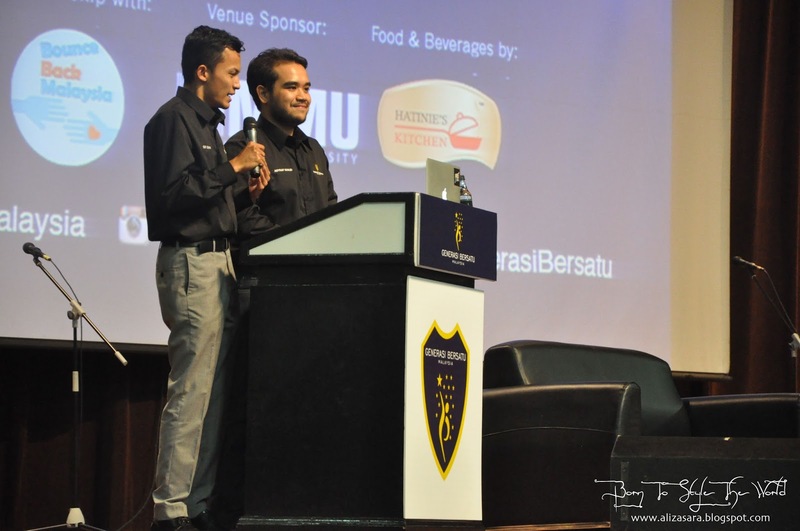 So if youre looking for Malaysian sponsors, why not give them a go? Group shot of the VIP's of the day for making the day happen. The crowd saying farewell to Dato Siti Nurhaliza, Dato' K spotted too and Tun Dr Mahathir. In an overall view, i think my day was well spent and it was definitely a productive holiday on Malaysia day. Im truly glad that Generasi Bersatu Malaysia has organised such an amazing event to inspire the youth in so many ways. This event also has touched on concerns such as human capital, education, motivation and dreams to be made possible. I was glad to be there to cover it, but i'll be honest that theres a lot of information shared on the day itself which i admit is too much to be written in my blogpost. So if you have any questions, do not hesitate to leave a comment below, and i would love to tell you more about the event. Do tell me whos your favourite speaker too! Mine was of course Tun Dr Mahathir, as he has been such an inspiration to me since young. Well, i'll end my blogpost here, and i do hope you enjoyed reading about my day at The Story 2015.
hi, u are great!! 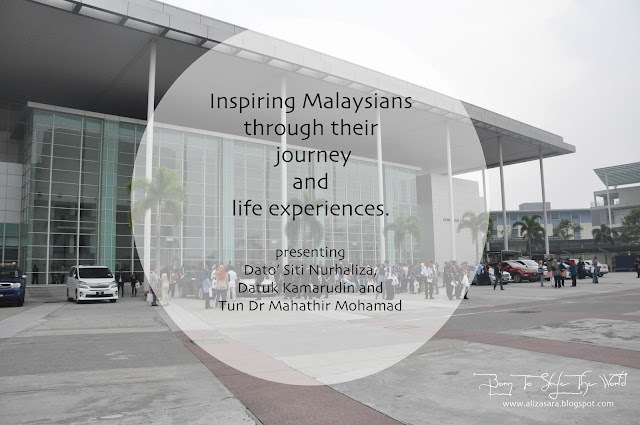 To attend such a meaningful event of influential individuals of Malaysia, to share their journey and life experiences towards success. wow! nice stuff, get to see so many top notch personalities. Interesting. I would love to attend such events in future if I get that chance. Tun Mahathir had build up Malaysian as what it is now. Thanks to all his effort and we really appreciate him. wow look at the crowd. I recall this day is a Public Holiday right? Hehe.. I get the invitation too. omg you were there! I love to attend and listen to successful people talk. They are indeed an inspiration to all.